Our Beamish Unlimited Pass allows you to visit again and again after paying just once. So if you’re worried that you won’t be able to fit everything into one day, now you can come back as many times as you like for a whole year! 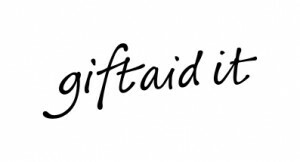 If you are a UK taxpayer you’ll be helping to support Beamish, since we will claim Gift Aid on your admission, worth more than £4 extra on top of every adult ticket sold, at no additional cost to you. These prices are valid until 31st January 2020 and the Terms and Conditions below apply. Or why not give the gift of Beamish all year round – with the Unlimited Pass Gift Voucher. For the same price you can purchase an Unlimited Pass gift voucher for friends or family. Call 0191 370 4000 to purchase yours! Click here to read the full Terms and Conditions of purchase. Unlimited Passes cannot be used for evening events.